When you think of the phrase, “hole in the wall restaurant” in China, this is what comes to mind. 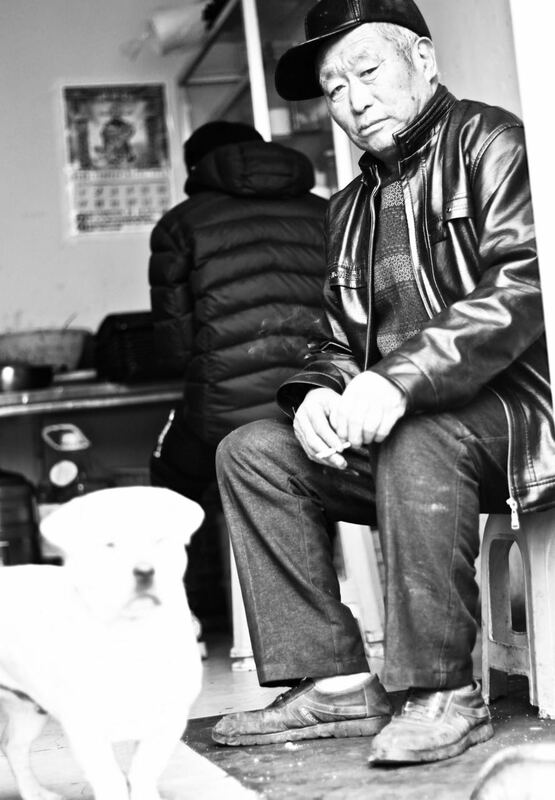 The man smoking a cigarette, with his subservient mongrel dog next to him. The mini-kitchen with a wok on the burner and a calendar with a buddhist image on the wall. The size of the entire room is 130ft². I haven’t eaten at this particular take-out place, but I guarantee it’s some of the best Chinese food around.